After a year of planning and preparation, in October 2010 Nihao Group officially created the “Milano 1”. Holding the determination of promoting Italy-China cultural and trading exchanges, it intends to introduce Italian high-end luxury goods to China and present the classic Italian and European clothing and fashion bags and other accessories with Chinese. The Milano 1 of Nihao Group, as an agent mainly operating ARMANI | GUCCI | BURBERRY | PRADA | CK | VERSACE, and other European luxury clothing and bas, is one of the largest distributors of the luxury clothing and bags industry in China. In October 2014, Nihao Group signed a general distributor agreement with Italian OMERO. The OMERO, as an original Italian brand, was established in 1988. It focuses on series of high quality goods, with rich colors, sizes, and designs. The charm, nature, and fashion contained in OMERO products perfectly display women’s diversified temperaments and elegancy. 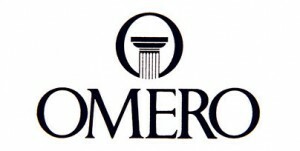 The OMERO targets at 25-65 years-old customers, who are in middle class or above, living in the city center, vibrant and in pursuit for fashion and personalized clothing styles, with elegant temperaments and personalities, and have stable income.